Why Do We Call Ourselves Proven Graphics? Consistent, personalized, and flexible. These are the three pillars that hold up Proven Customer Service in all we do. Consistent – We go above and beyond industry standards to deliver consistent service, consistent quality, and consistently met deadlines. Personalized – Every product we produce and every interaction we have with you, our client, is tailored to your specific needs and requirements. Flexible – We are flexible on quantity of decals/stickers. If you run out, we can send out a small portion quickly, and fill the remainder of the order at a later date. We pride ourselves first and foremost on our process and customer service. 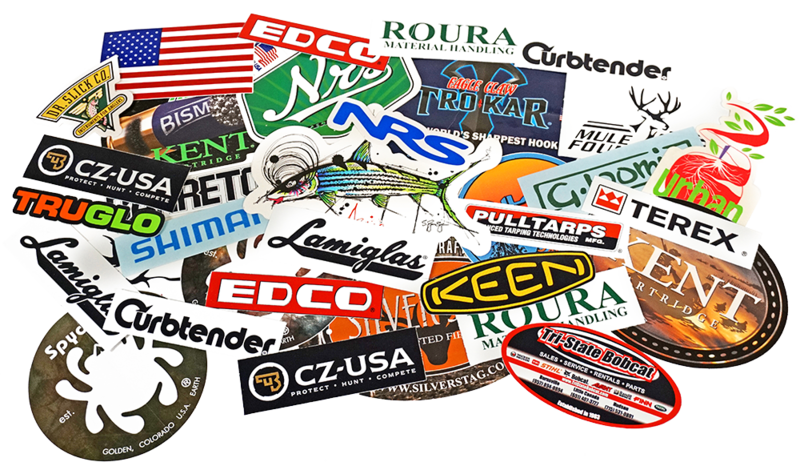 Send us your existing stickers and let us match new decals to your current stock. We’ll get you numbers fast with prices you’ll love. Before making a decision, let us provide samples to prove our superior quality and service. Our specialized ordering system keeps track of past orders to make reordering simple and efficient.